1. 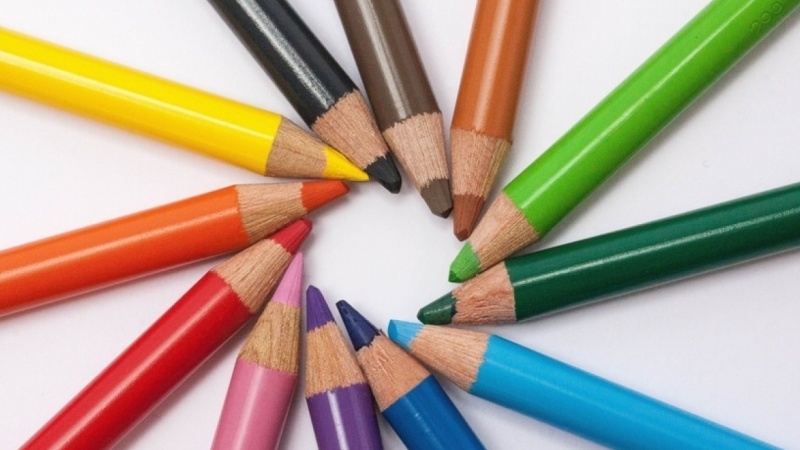 Welcome to Lifehack With Color Psychology: Increase Your Impact! 3. Red: Warning. -This Lecture Is Not For People With High Blood Pressure! 5. Yellow: Could This Color Be Disturbing the Peace at Home? 6. Blue: This Power Color Can Help Get You the Vote or the Job. 8. Purple: See Why Aspiring Financial Gurus Need This Color's Powers. 9. Brown and Tan: The Best Colors to Help Salvage Your Reputation. 11. White: How to Make Your Website More Professional. 12. Black: Learn Why this Color is Best Kept OUT of the Classroom. 13. Pink: How This Color Will Help Your Sports Team Win Again and Again. 17. Thank You for Taking This Course! What if you could be more influential, more productive, communicate better, and have more of a say in how people perceive and treat you just by knowing a few easy-to-remember secrets about color, all in just under 75 minutes? In this course I address the importance of using color to create a range of emotions, settings, and moods in art, media, film, and design as well as how to use your new color Super Powers to gain a psychological advantage in virtually all aspects of life. Did you know that 85% of shoppers place color as a primary reason for why they buy a particular product and that color increases brand recognition by 80%? Learn which colors will best help sell your ideas, your message, and your products and services. I'm a tenured Associate Professor of Digital Media and the Program Director of Film & Digital Media at The American University of Rome and a practicing award-winning multimedia artist. My most recent independently-produced film just won Best Animated Short at Cannes Short Film Festival thanks in part to the effectiveness of the color techniques I teach in this course. I have over 14 years of experience teaching students all over the world using my tried and true custom approach (turning complex information into something simple, memorable, easy-to-understand in as short amount of time as possible) to ensure that you get the most important, relevant, and useful information that can be applied immediately to your art, work, and everyday life. Come and empower yourself now by watching the first video and let's get started maximizing your impact in your work and life today. I'm a multimedia artist/educator based in Yangon, Myanmar and am an Associate Professor of Digital Media at American University of Myanmar. I also served as tenured core faculty at The American University of Rome (2006-2016) where I co-founded and ran its Film and Digital Media Program.